Anchorage Democratic Rep. Ivy Spohnholz was hospitalized over the weekend after flying home from Juneau and is recovering at home from complications of blood clots in her lungs. Spohnholz, 45, said in a Monday morning Facebook post that she has pulmonary embolism, a potentially life-threatening condition. But, she said she'd be back to Juneau in a week. "I am out of the hospital and back home recuperating with family," she said. "I plan to return to Juneau next Monday. I am monitoring what is happening in the Legislature this week, and my staff are always available to assist you." Spohnholz didn't respond to a request for comment. But members of her largely Democratic House majority talked to reporters Monday about her condition and the potential for it to affect caucus efforts to pass the state's annual budget. Last year, the caucus had a thin, 22-member majority in the 40-member House, where 21 votes are needed to pass legislation, including the budget. Then, in December and January, two of its members — Democrats Dean Westlake of Kiana and Zach Fansler of Bethel — resigned after women accused them of misconduct. Westlake's replacement, Democrat John Lincoln of Kotzebue, wasn't sworn in until Jan. 31, two weeks into the 90-day legislative session. Fansler's replacement, Democrat Tiffany Zulkosky of Bethel, won't be sworn in until Friday. House Speaker Bryce Edgmon, D-Dillingham, said Monday that his chamber plans to have its budget proposal on the floor for a vote next week. 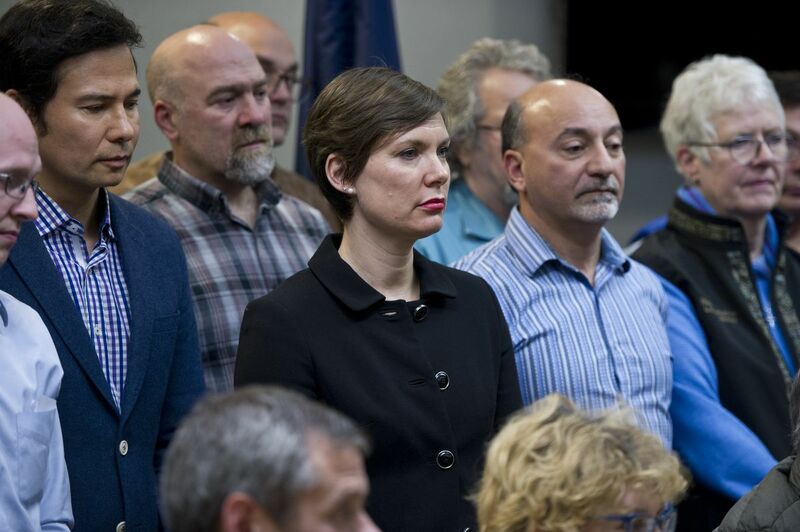 By that point, Zulkosky should be sworn in and Spohnholz should be back in Juneau, restoring the caucus to its full 22 members. But that schedule doesn't leave much room for complications, or for illness. And both Lincoln and another caucus member, Ketchikan independent Rep. Dan Ortiz, were out Monday with the flu, Edgmon said. 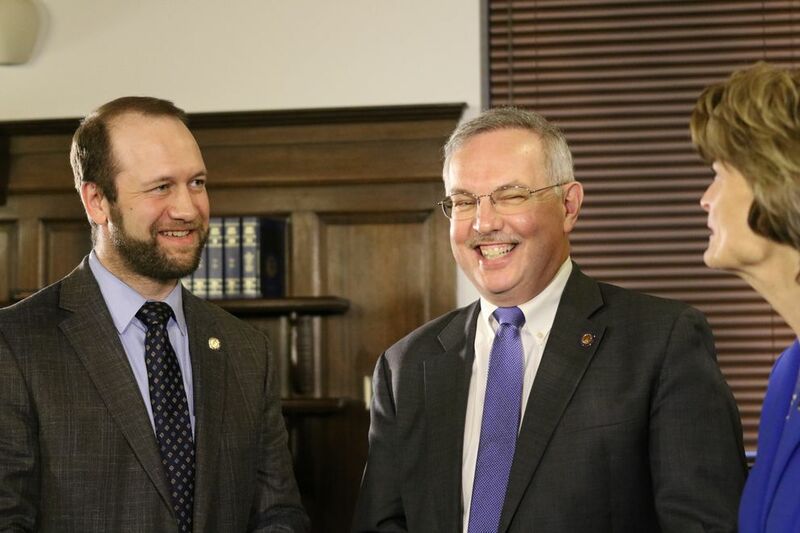 Edgmon said his caucus cooperated well Monday with the Republican minority on votes on several bills to sustain state boards and commissions. And he downplayed the effect of the absences and vacancies over the course of the legislative session, which is starting its eighth week. But consideration of another, more contentious measure — a bill to boost Alaskans' maximum unemployment benefits – was postponed. "I don't think that we're losing much ground at this point of session," Edgmon said in a phone interview from Juneau. "But clearly, we want to have our full contingent in place as soon as we can, and that sounds like it will happen next Monday." Edgmon said Spohnholz, who's in her second term, left Juneau on Friday for medical tests in Anchorage. She wasn't able to get a seat on a commercial flight, and "sooner was better than later," Edgmon said, so Spohnholz had to be medically evacuated to Anchorage. He said he was "fairly confident" that Spohnholz would be back to Juneau on Monday. "Sometimes life has other plans, but I think that's her intention," he said. 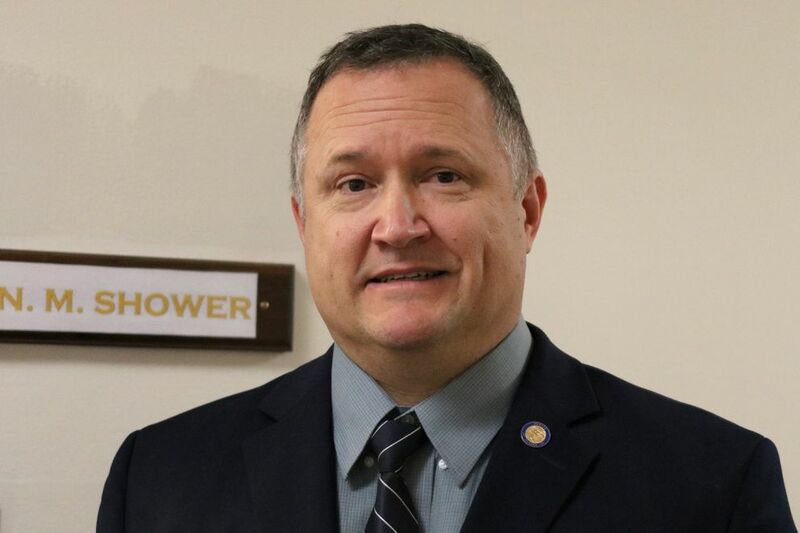 Meanwhile, Alaska's newest state senator, Republican Mike Shower of Wasilla, said he would not join the mostly GOP majority that controls his chamber — leaving that caucus with 13 of the Senate's 20 members. The Senate majority once had 15 members — enough to get the supermajority, three-fourths vote that's required to spend money out of a key state savings account, the Constitutional Budget Reserve. But last year, two Republican members from the Mat-Su, Mike Dunleavy of Wasilla and Shelley Hughes of Palmer, quit the majority because they refused to abide by its rule that members vote for the state budget proposal written by the caucus. Dunleavy and Hughes both favored deeper spending cuts than those in last year's plan. Dunleavy resigned his seat in January to run for governor. Shower is his replacement and was sworn in last week. Shower, in a Facebook post Monday, said this year's budget would likely increase by "more than our district would support at the end of the process." "For this reason, I'm unable to commit to be a member of the Senate majority caucus at this time," he wrote. "I believe we need additional cuts, not an increase in government spending." Shower didn't immediately respond to a request for comment.